Google has unveiled a newer version of its Nexus tablet to compete with Apple , Amazon and Microsoft. The device follows a spate of new products launches recently including Apple's iPad Mini and Microsoft's first tablet the Surface. The world No.1 Internet search engine Google has now pushed deeper into the hardware business when consumers are increasingly accessing web on mobile devices. The media event to introduce the device was scheduled in New York on Monday but was forced to cancel by Google because of Hurricane Sandy. Google made partnership with Samsung Electronic Co. Ltd. 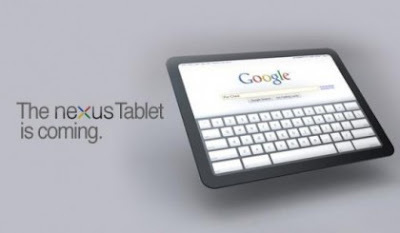 The device is the first 10-inch tablet to come under Google's Nexus brand. The device will be available on November 13 in the US and seven other countries with prices starting $299.